The Hollywood industry magazine of Variety recently reported that the movie Avengers: Infinity War has earned $1 billion faster than any other in cinematic history. This is great news, from two perspectives. One (less important) perspective is as a fan, because it is a fabulous film (superhero or otherwise) and one even deserving of an Oscar nomination. The other (more important) perspective is as an economist, because the core of the story is relevant to the Economics Infinity War. This war has been going on in America since before the founding, and in the rest of the world throughout recorded history. It has, for the most part, been growing and intensifying since the “Progressive Era” of the latter parts of the 19th century and early 20th. 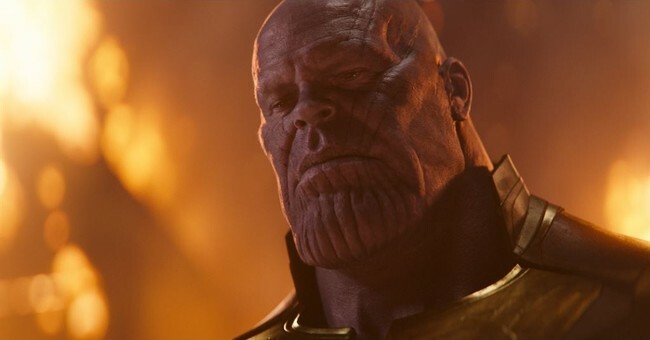 In the Avenger’s Infinity War, Thanos is obviously the main villain but less obviously a do-gooder. He does not intend, nor view himself, to be or doing bad. He is very nearly a likeable anti-hero. The main heroes are, of course, the Avengers themselves. They are a mix of do-gooders and good-doers: with Vision being largely the former; whilst Captain America is the latter here and throughout the series. And Democracy can’t seem to counter the titanic Welfare-Warfare State; it may even be making things worse. The ‘mad’ Titan Thanos is very much the modern day do-gooder; one pursuing not “private greed” but the “greater good” for the sake of the environment and natural resources. His end = more resources for individuals. His means = less individuals for resources. His plan = violent de-population by 50%. His strategy = acquiring, by force, a monopoly over the ultimate violent power of the six infinity stones. Fellow do-gooder of Spock from Star Trek may well approve of Thanos to some extent, given the former’s famous statement that “the needs of the many outweigh the needs of the few”. Vision also believes in this sort of worldview, until eventually convinced otherwise by Captain America. Thanos’s grand scheme has an added bonus from the perspective of a 21st century Social Justice Warrior, besides being oh so green and sustainable, in that it is also very much equal and inclusive. It would take at least one more article to properly explain why the (all-too-common) Thanos style approach to economic do-gooding is never economic good-doing. It can be said however, now and here, that the vast weight of history, economics and ethics is not on the side of Thanos and the modern Green Left. In short, free individuals in voluntary cooperation can better and more peacefully solve population growth and resource scarcity than governing elites (whether voter-appointed or self-appointed) using collective force. The more people who get the opportunity to take the “Matrix red pill”, as a result of this brilliant movie, the better. It is also important to note that the Avengers Infinity War is not the first nor only front where the Economics Infinity War has been fought out in “pop culture”, as is attested to in the important book by Professor Paul Cantor entitled The Invisible Hand in Popular Culture – Liberty vs. Authority in American Film and TV.